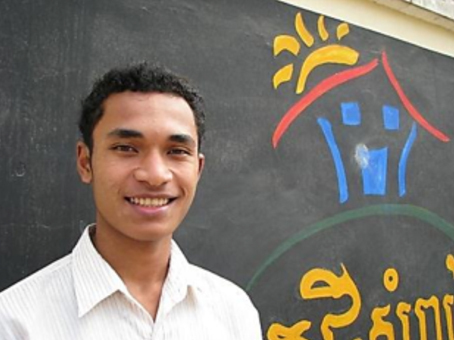 Yem Nan (23 years old) came to NFC at the age of 13 years in 2003, as his extremely poor family was unable to afford his education. At NFC he attended school for six years. After having finished grade 9 he began to study baking and pastries at PSE. He graduated three years later as the top student in his class. Now he works as a baking and pastries chef at the 5-star Sunway Hotel in Phnom Penh and teaches baking courses at an local NGO.